They’re mini-sized keychain hangers, though. Blizzard blessed Overwatch fans with the golden pachimari plush, announced July 16 for San Diego Comic-Con. But now the pachimari lovers among us are being appeased once again, with a line of super-cute miniature plush variants. There are six different pachimaris available so far: the original, Pachilantern, Vampachimari, Snorkelmari, Pachiking, and Pachilover. Each is made of “soft boa” and weigh around one ounce. 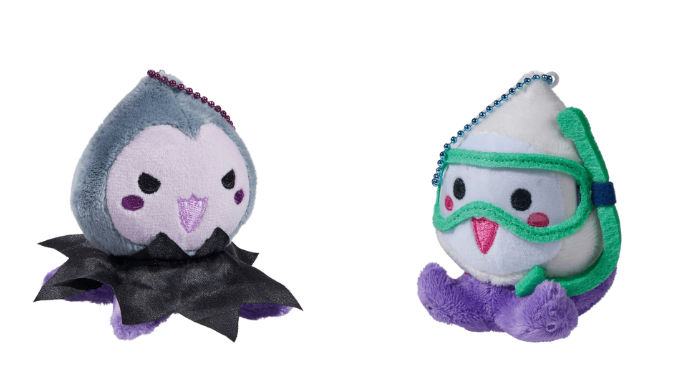 All of the Overwatch pachimari toys cost $8 on the Blizzard Gear store. Blizzard’s released a lot of new Overwatch merchandise items in the past few months, including an expanded line of Tokidoki Overwatch gear. But some of the most sought-after items are releasing next year. Blizzard announced earlier this year that it’s partnering with Hasbo and LEGO to release Overwatch Nerf guns and LEGO products. None of the products in the LEGO line have been revealed just yet, but Blizzard’s already shown off Nerf replicas for D.Va’s bunny blaster and Reaper’s Hellfire shotgun. More weapons are expected as part of the Overwatch NERF line, but those are all the details we have so far.